Water Glass with nine bits. 5 1/2 inches tall. Can be used for water, fizzy potions, cocktails, etc. Ghost orchid color contains a magic multitude of pink and purple hues, as well as transparent areas! Blushing orchid has an almost ombre effect of pale purples. French is blue and chic. 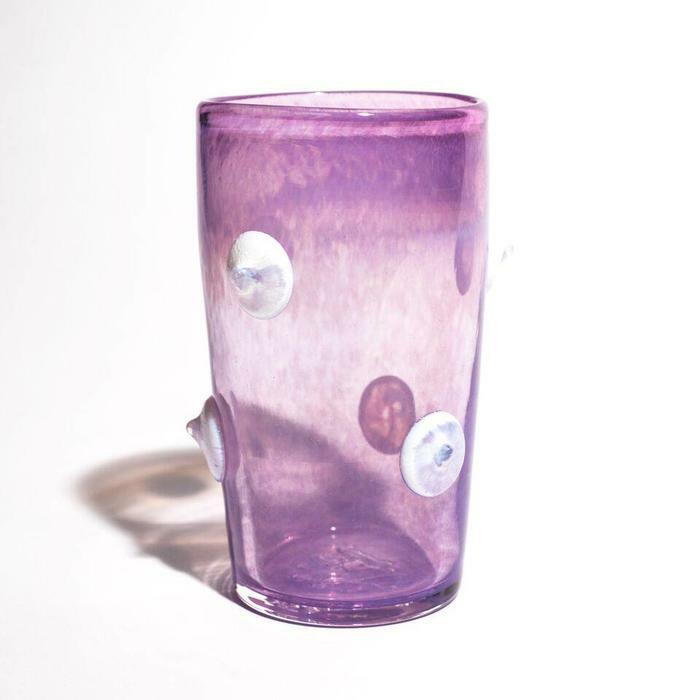 Handmade in the Pacific Northwest; each glass varies subtly in color and form.